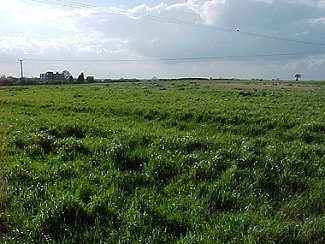 This very large field which contains evidence of Mediaeval life, is to be built on soon - it covers a very large area between Lynn Road and Downham Road - you can actually just see Ely Community College on the horizon to the left. What is to be built? I'm sure you can guess - could it be houses by any chance?